1. Tell us a little about yourself ? Hi all, i am Kavitha living in Chennai, India. 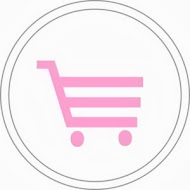 I am a girl who totally loves independence even in work :) That is the reason why i got into designing industry while all my friends went to higher studies after completing our computer science degree. From my young age i always wanted to be an entrepreneur and my passion towards designing made me to do some designing course like fashion designing, visual designing n fine arts and right after that i started my own art school and since then i never looked back. I love playing with colors,working with pretty things,which suited me a lot for this job :) I should say i am blessed to have my passion/hobby as my profession. 2. 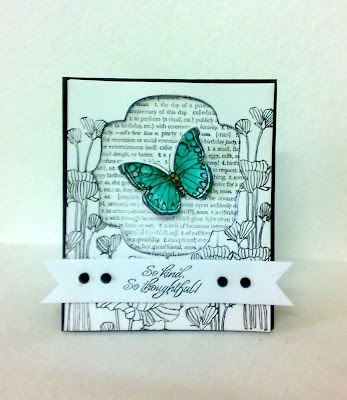 When and how did you start cardmaking? I have been crafting from my school days n of course we used to make cards with all the left overs :) But only after i started blogging i came to know that card making is such a big industry and there is so much that can be done with it than just cutting n pasting. I really see every card as a little piece of art as so much work, thought n love goes into making it. 3. What inspires you to create ? Colors- i love colors n have been coloring from my childhood. I started collecting color pencils, crayons, sketches, paints even before i knew how to use them :) I love playing with them all the time and of course internet and all my fellow crafters are a great inspiration. 4. What is your favorite technique? Why? My favorites always change from time to time, but to pick one i would say its mixed media as it gives a unique n modern approach to art. 5. Who are your favorite paper crafters at this time? Why? This is really tricky as i love many for their unique styles. 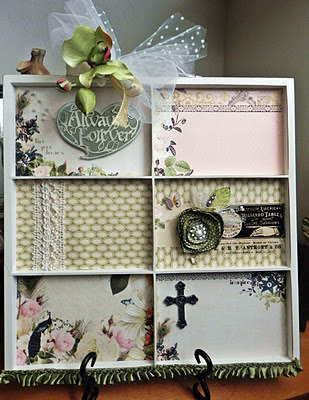 I always keep experimenting with different styles but my all time favorite is shabby chic and layered cards. 7.Are you on any design team at this time? Have you been published on any magazine or online journal? 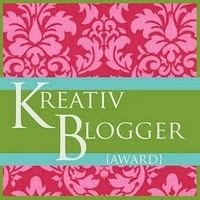 Yes i am in a couple of challenge blog design teams at present- "Love to create" and " Charisma cardz challenges" and have been a guest designer for few blogs now n then. 8.What is your favorite thing about creating? I go by so many names depending on how well person knows me but most of my crafty friends call me Queen Kat or Kate. I transplanted myself to the state of Maryland about 26 years ago while I was in the military. In a former life, I was an accountant and now I'm a MSAHM of 2 (girl and a boy) who do keep me busy. My son has hearing loss and other medical issues that have changed our lives and having a kid with "different abilities" means that our journey is unlike any other family that we know. I just try to take each day at a time and always keep in the back of my mind that "everything has the potential to be scrapped!" In addiction to the scrapbook obsession, I love all things teal, butterflies, Disneyworld, am a serious notebook junkie (any shape, any size) and I have this weird fascination with "CROWNS" and the Evil Queen from Disney! 2. 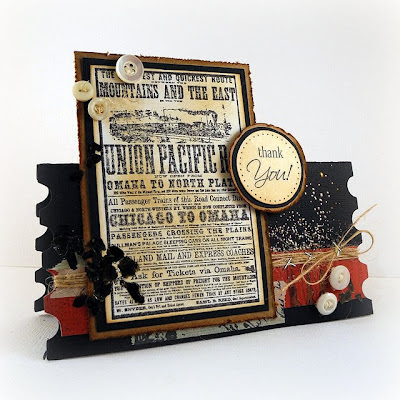 When and how did you start cardmaking and scrapbooking? I started the actual art of scrapbooking about 5.5 years ago. My husband and I had very stressful lives due to the traumatic premature birth of my son. His long-term hospitalization (almost a year) took a HUGE toll on me and my sister (gotta love her for this) introduced me to scrapbooking, hoping it would help me find some peace and balance. Even though I was never ever artsy, I loved her creations, loved how I saw women of all walks of life coming together so positively that I decided to try it. I collected supplies for about 6 months (lol) then eventually took a class at my LSS and then the addiction really took off from there! 3. What inspires you to create? Leaving a legacy for my children to see me as more than a mom....I am a wife, sister, daughter, mom, friend and still ME. I feel like I didn't really know my mother as "HERSELF"-there's things she never shared with her children and I felt like we would've had a better relationship IF she had shared some of herself with us. I so want to change that for MY family and how they see me and I want my family to know they were important and valued . I am inspired by travel and food magazines, blogs of all kinds, and don't get me started on my Pinterest fascination! 4. 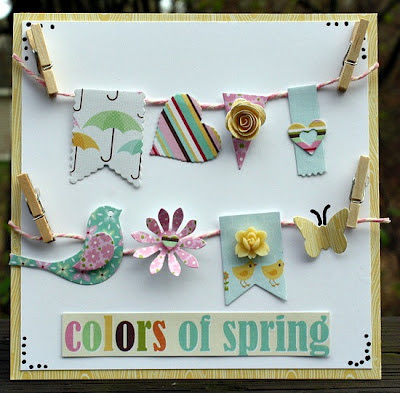 What are your “go to” tools for cardmaking and scrapbooking? Why? My "Go To" tools ? My Tim Holtz Tonic (red) scissors because I am a hand/fussy cutting junkie! and my Martha Stewart butterfly punch. If I could, I'd add a butterfly somewhere on each page I create! My favorite crafters change with the seasons...I'm really attracted to kraft paper & embellishment layers so right now, my favorite paper crafters are: Mandy Kay Starner, Maggie Holmes, Felicitas Klink, Tara Anderson, Corrie Jones, Krissy Clark McKee and Michelle Hernandez. I really can't make cards so Rochelle Washington and Robin Shakoor are the card making divas that delight my eyes!! I love all things that go with black cardstock or kraft paper...I think my style is kinda contemporary & layered junky.... I do know that I do not like whimsy, no circles and I CANNOT do crooked pictures! 7. Are you on any design teams at this time? Have you been published in any magazines or online journals? Kate, these are stunners in every way- you've left us in awe! I love the combination of patterns and colours, and the way you put them all together into a coherent whole, even though they're seemingly busy. And just love the way you look at life- with utmost optimism!! Thank you darling for being here this Friday as we've truly enjoyed :) Thanks to all for paying a visit, happy Friday!!! Hello sweeties and thanks to all my followers for the so-lovely comments :) :) Will try my best, whenever possible, to leave some love at your adorable blogs too!!! Today am sharing a simple and clean card that I made quite some time back... In the beginning, it was much more simpler but then it struck my mind to add some hearty red blings, cute aren't they?? Thanks for stopping by!!! See ya very soon, until then happy crafting!!! I am married to the love of my life and have been for 27 years. We have two children, a son who will be in his third year of college in Boston and our daughter will be a freshman at Georgia Tech in the fall. I am going to be an empty nester in the fall and look forward to having more creative time. I work from home part time as a social worker and it is the perfect balance for me. I have been paper crafting since my son was 2 and he is 20 now. I began making cards about 10 years ago because I really enjoy working on a smaller palette. I love lots of layers and embellishments. I have been working on making more simple cards as well to challenge myself. I love ribbon and making big bows. Anything pretty can inspire me to create. I love to work with sketches. It is fun to see where the card will end up when I start with a sketch. 4. What are your “go to” tools for cardmaking? Why? My most favorite tool is my Tim Holtz poker, aka: Retractable Craft Pick. I love my 3M foam squares because the more dimension the better. I love my EK Success pink bone folder and couldn’t live without my Fiskars paper trimmer with the 6 1/4” wide base. Probably the tool that I use on almost every card are all my dies from various companies and my die cut machine. 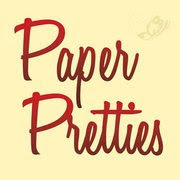 5. Who are your favorite paper crafter's at this time? Why? 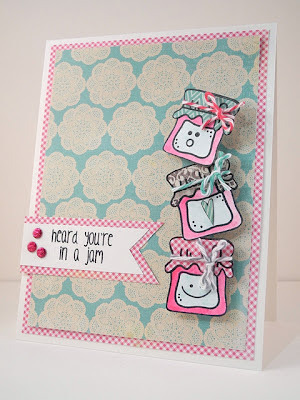 I love the work of Tami Mayberry because her stuff is so cute. I love everything that Laurel Seabrook does and Beate Johns has been a favorite of mine for years. 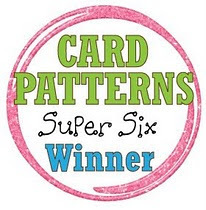 I first came across her work many years ago at Splitcoast Stampers. I would say that I have a simpler, elegant style. 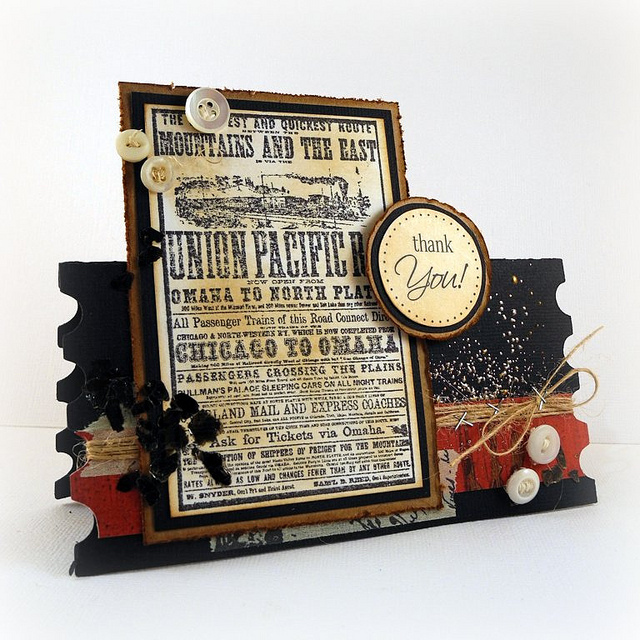 I love using matching paper lines and embellishments, really like everything to coordinate. I also like making things which are cute, they just make me so happy. 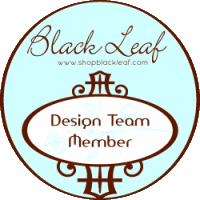 Currently I am on the Trendy Twine design team and am a permanent member of my local scrapbook stores design team, Right at Home Scrapbooking in North Attleboro, MA. I am taking a bit of a break from being on so many teams at once so I can focus on submitting for publication and playing along with my favorite challenges. Mulcahey, Anita. Love Card. Scrapbook News and Review, Volume #4, issue #8, August 14, 2011. Mulcahey, Anita. Wish Card. Scrapbook News and Review, Volume #4, issue #8, August 14, 2011. Mulcahey, Anita. Baby Onesie and Burp Cloth Set. Cricut Magazine, September/October 2011 issue. Mulcahey, Anita. Miss You card. Scrapbook News and Review. Volume #4, Issue #7, July 17, 2011. Mulcahey, Anita. Star Spangled Cuties. Making Memories for You. June 1, 2008 Ezine. Mulcahey, Anita. A Seat with a View. 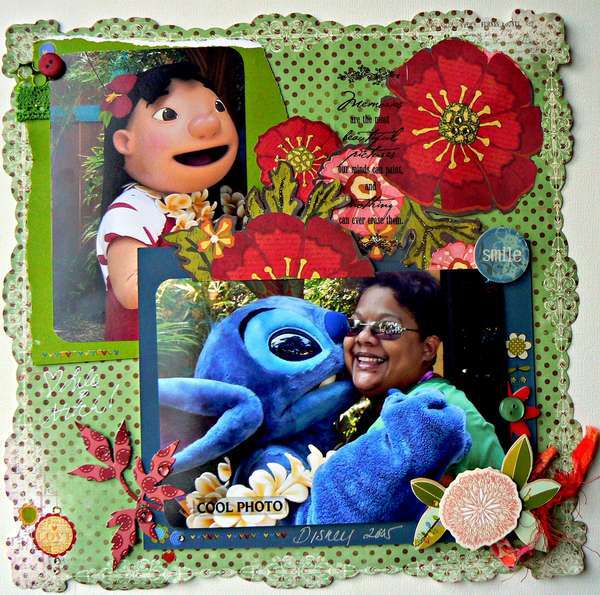 Scrapbooking.com, July 1, 2008 Ezine. Mulcahey, Anita. 4th of July Pinwheel. Making Memories for You, July 1, 2008 Ezine. Mulcahey, Anita. Father’s Day 1994. Scrapstreet.com August 1, 2008 Ezine. Mulcahey, Anita. Best Things in Life are Chocolate. Scrapbook News & Review September 1, 2008 Ezine. Mulcahey, Anita. Holiday Boxes & Popper Tutorial. Scrapbooking.com. December 1, 2008 Ezine. Mulcahey, Anita. Congratulations Card. Making Cards Magazine, January 2009. 8. What are your favorite things about creating? I love starting with paper and ending up with a beautiful creation that makes me happy. I have so many cards, that I really need to find a place to donate them to. I just keep making them and they just keep making me happy. I love the simple elegance of these inspirations by Anita. 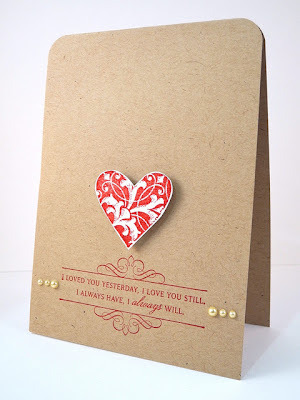 The beautiful stamping, embellishing and sentiments just makes me smile. 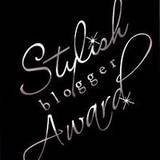 Thank you so much Anita for being here today and thanks to our blog buddies for popping by... Ciao!! 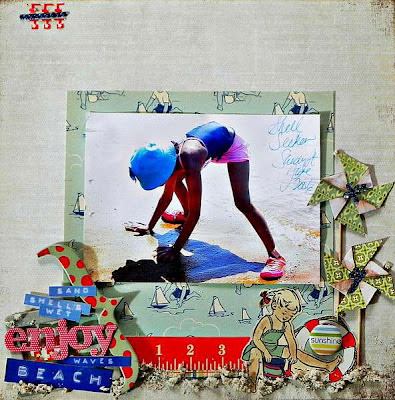 I started scrapbooking when I was in college on my own. I had pictures and I wanted to do something fun with them! From there, I ended up diving straight into the wonderful world of paper crafting. In the last couple of years I have done very little scrapbooking, as cards have taken over my life! I love it!!! I am inspired by all kinds of crazy things! I read a lot of blogs, I watch the world around me, I love color. I also have a weakness for new product! I am very product driven, so I often begin a project based on something fun I want to use that day! That’s a tricky one, as I don’t really consider myself a ‘technique’ kind of girl. Does clean and simple count? I LOVE using white space! Oh..and rounded corners. I <3 rounded corners. Just say’n. 5. Who are your favorite paper crafters at the time? Why? Oh, I can’t even answer that question! They are MY FRIENDS! My favorite paper crafters aren’t necessarily the famous ones. I love the community around this industry and have made so many wonderful friends I simply couldn’t list all of the amazing people who inspire me without even trying! Random. Yup. That’s pretty much me. I do a lot of clean and simple, but then sometimes I do all out nuts with embellishments and such. I like to play. I love to experiment. I’m not a fan of boxes, therefore, I do not put my creativity into one. My style is FREE! 7. Are you on any design teams at the time? Have you been published in any magazines? 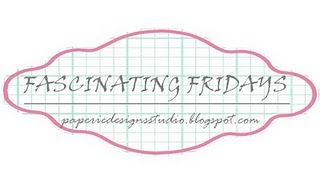 I am on several design teams right now including Gourmet Rubber Stamps, The Stampendous! 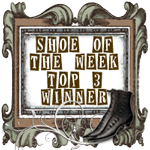 Michael’s Team, May Arts, Tami Mayberry Designs, Skipping Stones Design, Retro Cafe Art Gallery, Scrapbook Circle, and The Eyelet Outlet. I have been published recently and have others coming out in Paper Crafts Magazine, Cricut Magazine, Cricut Quick and Easy Idea book, CARDS Magazine, and CREATE. 8. What is your favorite thing(s) about creating? It’s my way of being me! I love this community and I love using my hands and I love making stuff! I can express myself, be myself, and enjoy myself. What could be better than that? Plus...seriously...crafting is the BEST stress reducer EVER. Just say’n.